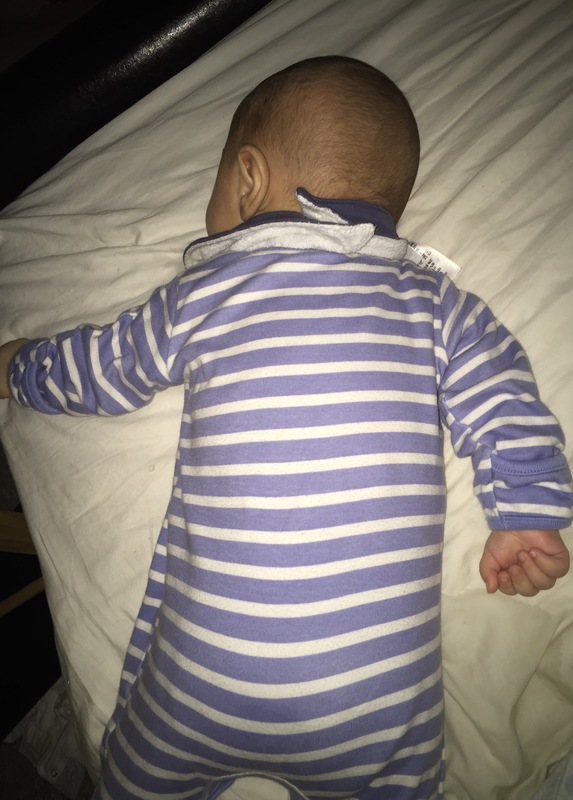 It’s 4am and after a 2 hour wrangle my baby has finally given in to sleep in this position: face down on the end of my bed. Try to manoeuvre him into his Moses basket and onto his back, risking disturbing him (95% chance this will happen – he’s a very light sleeper), which will cause him to howl the house down and wake up my 2 year old. Leave him sleeping on his tummy, cover him with a blanket and spend the rest of the night watching him while holding a mirror to his face to ensure that he is breathing at all times. Carefully and slowly, so that he doesn’t notice (like over the course of an hour) shift him onto his back but leave him at the end of my bed. I’d have to cordon off the area with cushions so that the husband doesn’t kick him. Then I’d have to sleep on the floor. Basically, in a nutshell, FML.